Going on placement and having a whole years’ experience is something that employers are really keen on. "I enjoy the diverse range of modules in BSc (Hons) Real Estate at NTU has to offer and how relevant it is to the surveying world when you come to do it in practice. "The course staff at NTU are great. They’re always there to offer you support whenever you need it, and any questions you have or issues you can speak to them easily about. They also offer you any extra one on one help if you need it, for example if you’re really struggling with a module or an essay they will sit down with you in their spare time to run over things to ensure you understand what it is you have to do. "We had a few trips in first year, we went to London and Sheffield. In second year we went on a big trip to Madrid for a few nights which was very enjoyable. We learnt a lot about the Madrid office market which was an interesting change from learning about the UK market at university. It was nice to go on the Madrid trip as it made the course a lot closer as well in terms of friendships. We had some nights out which was fun, and a big meal on the last night which the lecturers joined us in. How did you spend your placement year? "As you’re only on placement for one year you rotate once, so after your first six months you rotate into another team. This is to help you get necessary experience you need for your Assessment of Professional Competence (APC). In my first six months I sat in the Business Space Property Management team over in the City office. My day to day role included a lot of dealing with tenants on behalf of the Landlord, arranging inspections, going on inspections, Landlord and Tenant issues, arrears chasing, way leave agreements and a lot more stuff. "Property Management was really enjoyable, I really liked being in the City office and my team were very nice and helpful. I’m currently sat in my second rotation which is over in the West End office in the commercial valuations seat. My team and I value commercial properties all across the country, from offices to retail parks. Why would you recommend undertaking a work placement? "Going on placement and having a whole years’ experience is something that employers are really keen on. 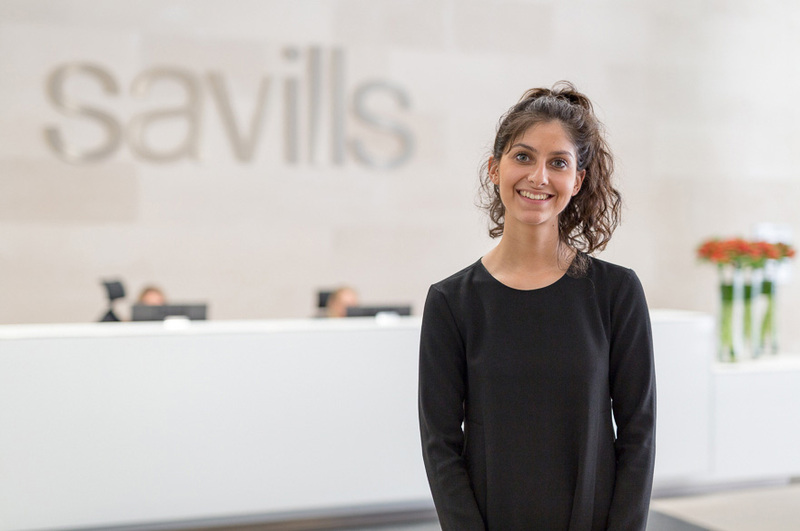 Every director I have spoken to during my time at Savills have said how important it is to get as much experience as you can as early on. It really looks good on your CV and is something to talk about when you’re at interviews. You also learn a lot of technical things you can apply when you go back to university, which would help you gain a better overall result in your final year."